MODEL NS183 - MOST POPULAR! Beautiful in pairs. 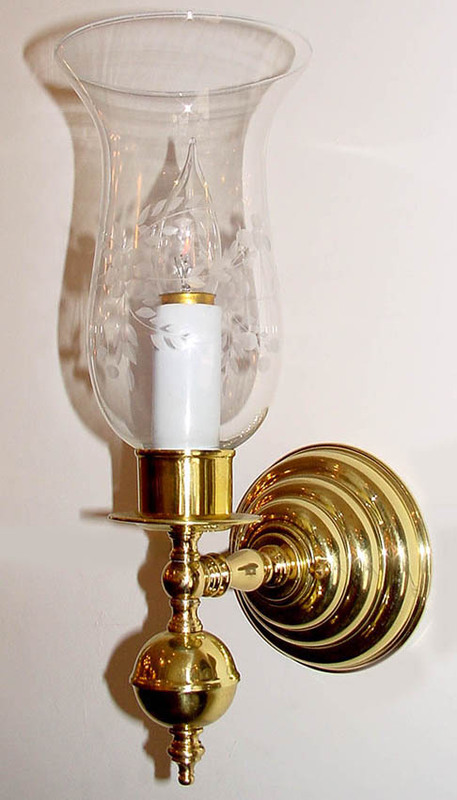 Another tasteful Colonial light reminiscent of the kind of candle sconce one might carry around in olden times. Wheat Etched hurricane glass dresses this polished brass beauty! Of course metal color is your choice. Width 5 In. / Projection 7 In. / Depth 15 In.